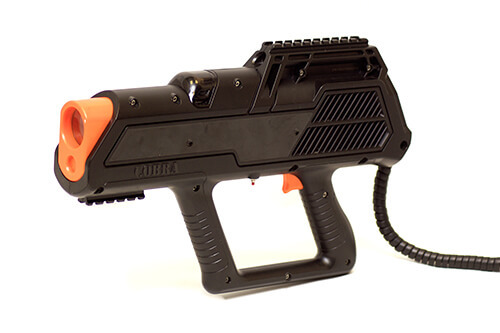 The black cobra with peep hole scope is a great little party phaser. This model is small and made from polycarbonate, so it is light enough to be used by players 5 years +. It is good for either indoor or outdoors. To aim you use a peep-sight (rather than a Red Dot scope).